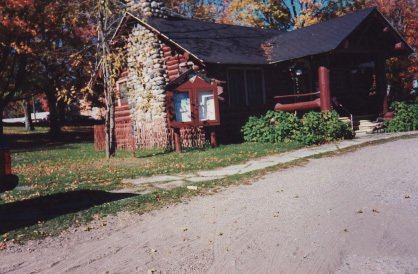 The cabin was built as a WPA project in 1936 to house the new Resort Bureau Headquarters and Information Bureau. A unique shop of original art and handcrafted items made in the local area. Also local maple syrup and honey are for sale. We are located on the southwest corner of US-23 and M-72. Come in and browse. Spring and fall hours, Saturday and Sunday 10 am to 5 pm. June 15th through Labor Day, Tuesday through Sunday 10 am to 5 pm.